It features four cyclists in pursuit around a large round track. 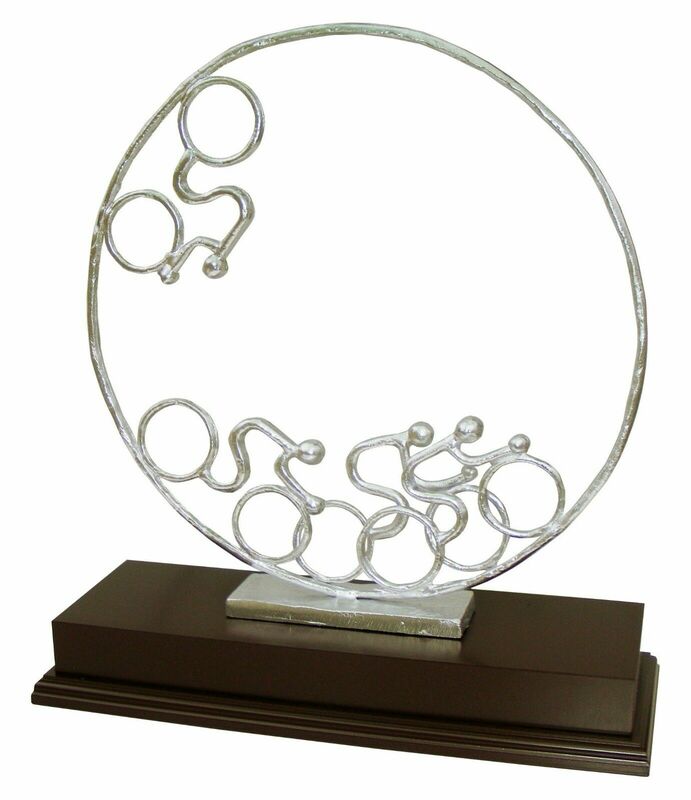 This Sculpture is mounted on top of a stunning, thick, polished mahogany effect plinth. We can attach an engraving plate to the front of the plinth if required so that it can be personalised with your wording. 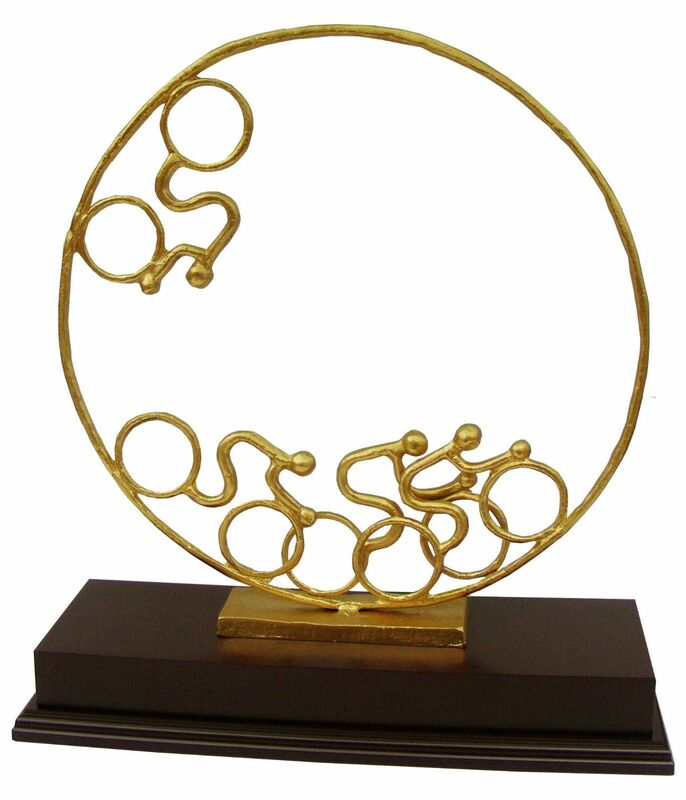 Not only will this make a very unique sporting award it would make a great gift for any cycling fan and a lovely gift personalised for any cycling enthusiast on their Birthday. For engraving we recommend up to 3 lines of 30 characters per line including spaces. 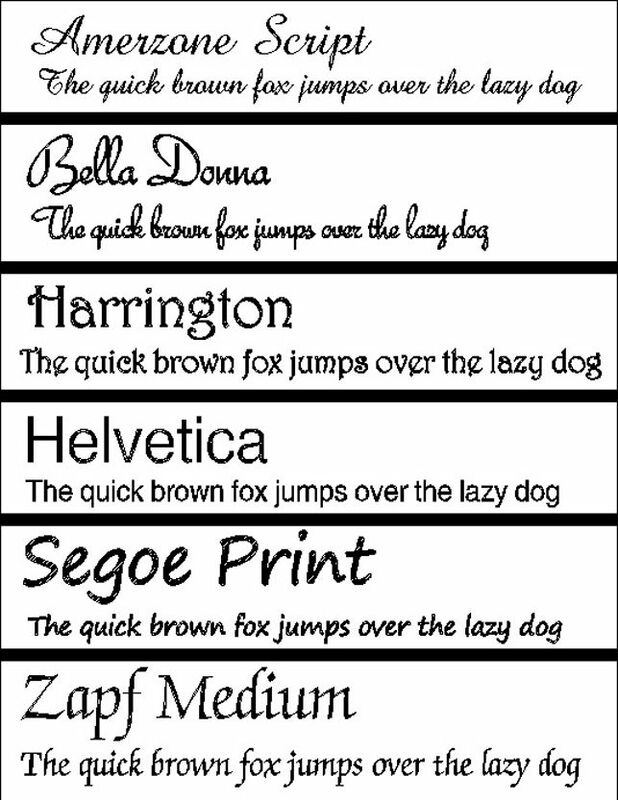 We can engrave many different fonts, but only list the most popular. If there is another font you require, please drop us a email and will can let you know if we can use it, sales@countyengraving.co.uk. 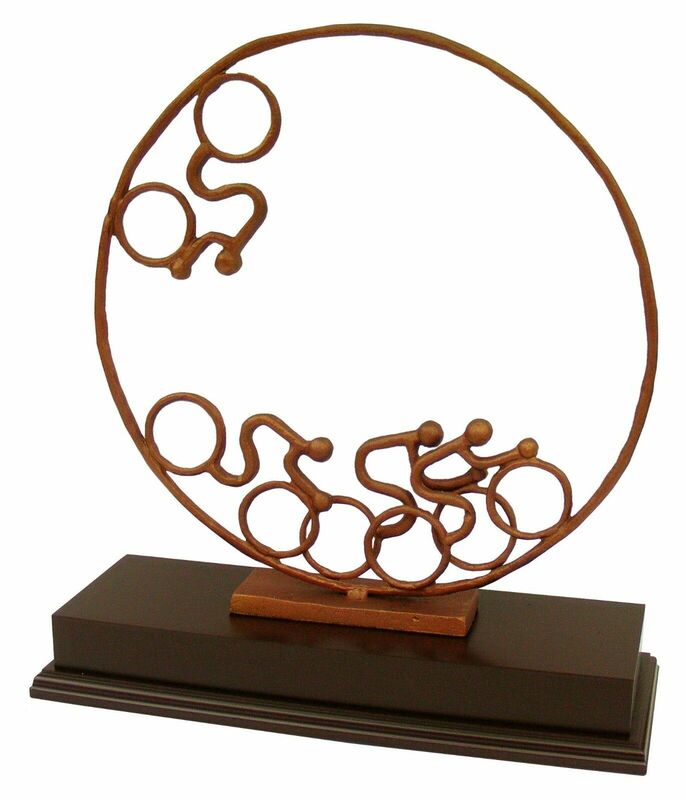 It is made from steel in a bronzed, rustic effect finish and its mounted on top of a stunning, polished, thick mahogany effect plinth.